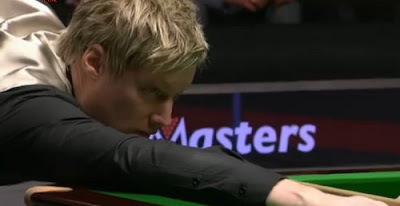 BGC Masters Day 7: Neil Robertson will meet Shaun Murphy, who defeated John Higgins in the Final after beating Judd Trump in the semi-finals. Robertson and Trump played twice last year both on BBC events but unfortunately Robertson lost both matches, World Championship first round and UK Championship semi-finals. The Bristol 22-year-old indeed wanted to win for the third time but Robertson stroke him this time with a 6-3 victory. The former World Champion built his advantage early in the match, winning the first two frames before Trump pulled one back. The first game was a safety battle which The Aussie found his way to tighten Trump's attacking way of playing. Robertson made 100 to lead 2-0 but Trump replied a 76. 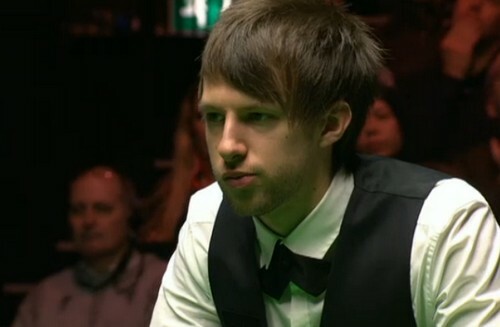 Robertson did not hesitate in the last frame before mid interval, a break of 89 put him 3-1 ahead in the interval. Frame 5 ended in a dramatic way. The players did not hold their nerve to score well with good chances, Trump looked like he could pull another back to trail 2-3. The crucial moment came - Trump missed the straight forward frame ball blue which left Robertson over the pocket. Robertson cleared up and winning the next to lead 5-1. Thunder from Down Under got a decent chance to wrap up the match but missed on 24 which allowed Trump to take the frame and the next one with 95, reducing the gap to two frames only. Once again first chance is in Trump's hand but he did not hold it, run of 69 from Robertson to win 6-3, putting himself in the final. The Australian punched the air and shouted 'Come on' after potting the match ball. "I'm over the moon to be in the final. I was at my club last night until 11pm sorting out my tip. I'm really pleased with how the tip bedded in today.'' Robertson had a shout out on Trump's mates, "He had a couple of mates in the crowd, they are probably nice lads. But I didn't really like that they said hello to me before the match and then they were screaming for the white to go in on my shot, or when he fluked a ball they were saying 'Good shot Judd.' They can clap, they can scream his name, but when it's unfortunate incidents I don't really think it's sporting." Seems that they are not happy with each other! 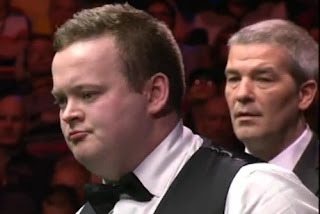 Shaun Murphy will play in his first Masters final too. He defeated John Higgins by 6-4 despite being 3-0 up. The Magician stormed to take the first three frames in 30 minutes with runs of 101 and 86 in the first two, clearance of 69 recovering from 0-62 down in the third frame. Higgins won the fourth frame to drag 1-3 at the interval. The Wizard of Wishaw pulled another one back right after the interval but Murphy produced 122 to regain two-cushion advantage. The Scotsman made 59 to take the next frame but Murphy fired his third ton in the match, 100 to go 5-3 up. 72 allowed Higgins to hold his stance in the match. Murphy's 55 in the following frame was not enough to win the match, Higgins missed the final pink to drag into a decider. Murphy took this simple pot to win 6-4.